CNN announced today that Mark Whitaker will hold the newly created role of executive vice president and managing editor. What does it mean that a black man will be leading the direction of the network's reporting? When Whitaker was promoted to executive editor of Newsweek in 1998, he told the New York Times, "my goal is to be the very best editor of Newsweek that I can be, not just the best black editor." But in a later interview with the Washington Post, he admitted that he was "very interested in the racial question here in America, not just between blacks and whites but Hispanics and Asians and the changing demographics of the country," and added, "perhaps I have a little more sensitivity to that issue than other people might have." 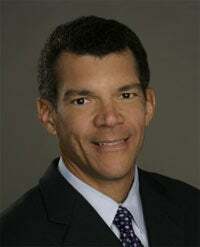 In his position as NBC News Washington bureau chief, he initiated the series African-American Women: Where They Stand. We certainly don't expect (or want, for that matter) CNN to replace BET Nightly News under Whitaker's leadership, but we'll definitely keep an eye out to see what — if anything — this extra "sensitivity" at the top means for the network. Read the full press release at CNN. In other news: Hawaii to Charge $100 for a Copy of Obama's Birth Certificate?